Writer/Performer Dr. Derrick Gilbert, PhD, a/k/a poet D-Knowledge, lost his battle with liver disease on Sunday morning, November 1, 2015. He was 45. Straddling the worlds of entertainment and academia, Gilbert wrote for the NAACP Image Awards from 1993 to 2001 while earning his Doctorate in Sociology, graduating Phi Beta Kappa, and teaching at UCLA and UC Berkeley. He originally suggested and helped launch the Image Awards’ Literature categories, which are still an important part of the annual awards competition. His music and poetry CD, All That and a Bag of Words was released by Quincy Jones’ Qwest Records/Warner Bros Records in 1995. It was one of the few poetry albums released by a major label during the poetry renaissance of the 1990s, with tracks receiving airplay on Black and alternative radio. It also included a guest appearance by iconic poet Sonia Sanchez and the late Andrae Crouch and his choir. During the promotion of the album, he appeared on MTV's spoken-word series, Poetry Unplugged, Showtime At The Apollo and performed at the legendary Nuyorican Poet’s Cafe in New York's East Village. The album’s most popular poem was the classic Remember, recorded live at the Apollo. 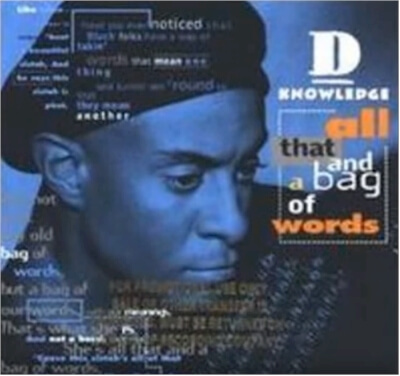 D-Knowledge appeared in such films as John Singleton’s Higher Learning and Mario Van Peebles’ Panther, as well as on television shows like the Arsenio Hall Show and the Apollo Comedy Hour. Derrick also performed his poetry in concert with such artists as Meshell Ndegeocello, Howard Hewett, Arrested Development, Midnight Oil, and Bill Cosby. He performed as part of Peter Gabriel’s WOMAD festival and joined an Earth, Wind & Fire tour as their opening act. D was honored to write copy for President Bill Clinton and perform an original poem, The We of Ali at the Gala Opening of the Muhammad Ali Center in Louisville, KY.
His unique spoken-word style and poetry was inspired by the likes of James Weldon Johnson, Arna Bontemps, Claude Mckay, Gwendolyn Brooks, Maya Angelou, Langston Hughes, activists and revolutionaries such as Malcolm X, Stokely Carmichael, Huey Newton and Angela Davis, and contemporary poets and spoken word artists such as Gil Scott Heron, the Last Poets, and The Watts Prophets. Gilbert authored two acclaimed books of poetry, Henna Man and Catch The Fire!! 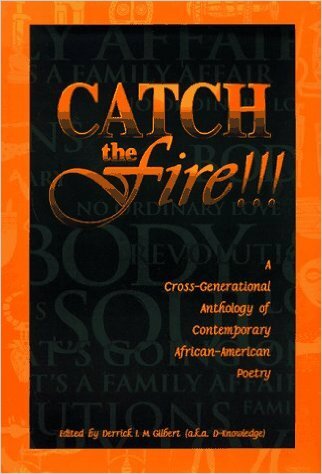 : A Cross-Generational Anthology of Contemporary African American Poetry which was published in 1998 by The Berkley Publishing Group/Penguin Putnam, Inc. and included selections written by several noted poets and writers including the late Amiri Baraka, Sonia Sanchez, Nikki Giovanni, Bill Duke, Quincy Troupe, June Jordan, Ntozake Shange, Abiodun Oyewole of The Last Poets, and many others. 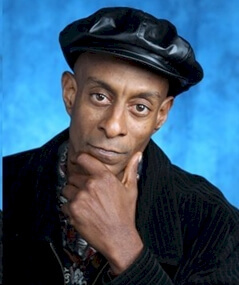 In addition to UCLA and UC Berkeley, Dr. Gilbert went on to teach his unique brands of sociology and poetry at Yale University, the University of Michigan, San Quentin Penitentiary, UC Santa Barbara and Soka University. His essays have appeared in the National Black Law Journal, Educational Policy, Encyclopedia of African American Education, Tough Love and a variety of other publications. Derrick Gilbert is survived by his father, jazz bassist Stanley Gilbert, his mother and strongest supporter Mary Gilbert, his sister Robin Perez, and many friends. Funeral services will be held Tuesday, November 10, 2015, 2pm at Forest Lawn, Cypress, 4471 Lincoln Ave., Cypress, CA 90630. Tell us how much you like D-Knowledge.